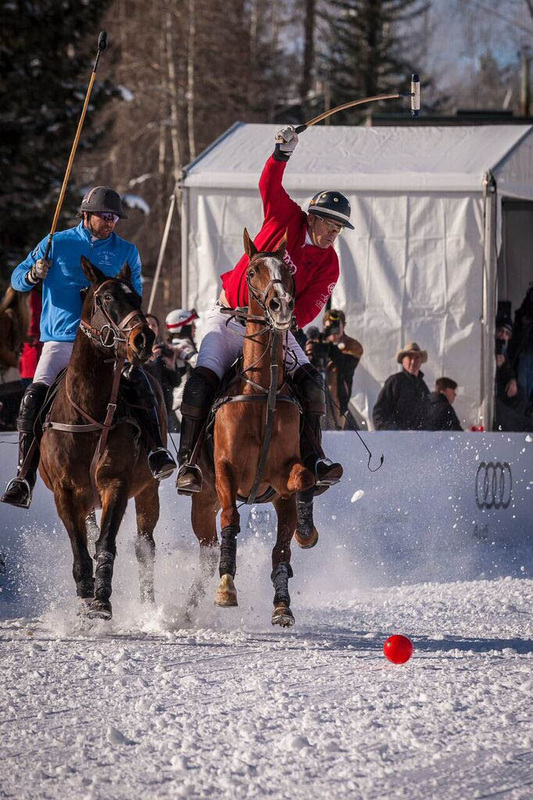 Aspen, Colo., – Dec. 13, 2016 – ChukkerTV, worldwide leaders in polo broadcasting, will live stream the Dec. 17-18 World Snow Polo Championship. It is the second time the much-anticipated tournament will be live streamed in its entirety and exclusively by ChukkerTV. ChukkerTV, an independent media company based in Wellington, Fla. will capture the glitz, glamour and excitement of the two-day tournament. Entertaining polo announcer Dale Schwetz will provide play-by-play, colorful commentary and interviews throughout the tournament. 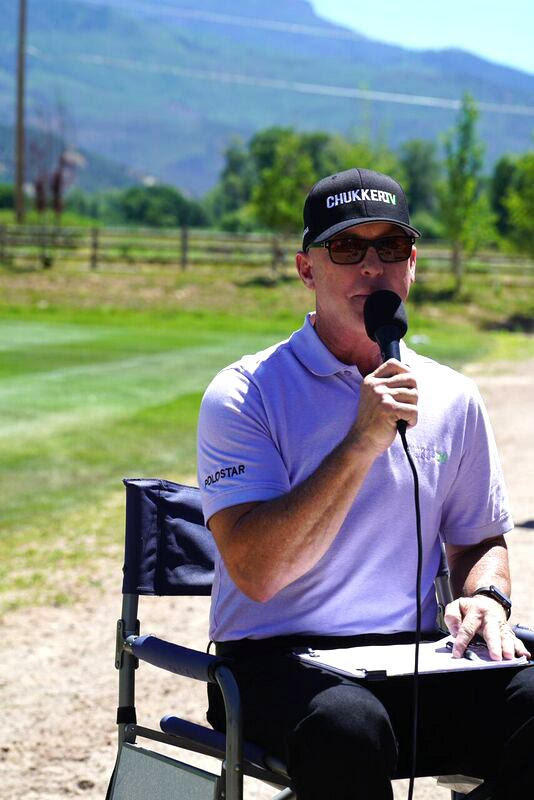 ChukkerTV was the first to introduce state-of-the-art live streaming technology in January, 2014 at Grand Champions Polo Club, where it was well-received for its cutting-edge technology and ability to promote the sport to a larger audience. ChukkerTV has also played a huge role in helping to improve the game by supplying instant replay technology, team challenges and reviews. It continues to build and improve its technology platforms. ChukkerTV has compiled an impressive resume over three years live streaming polo games that have been viewed around the world on its interactive website. ChukkerTV live streamed every game of the 2015 and 2016 high goal polo seasons at International Polo Club in Wellington; USPA East Coast Open in Greenwich, Conn.; and is coming off successful summer season at Aspen Valley Polo Club and fall season at Grand Champions Polo Club, highlighted by the International Cup and Carlos Gracida Legends of Polo Memorial. ChukkerTV was also the first to bring live and On-Demand polo into living rooms around the world helping to expand the sport’s exposure. Tommy Biddle and Brandon Phillips. For the fourth consecutive year, Melissa and Marc Ganzi, co-founders of Aspen Valley Polo Club, along with polo ambassador and St. Regis Connoisseur Nacho Figueras and his wife Delfina, will host the star-studded event. Audi, FlexJet, St. Regis and defending champion US Polo Assn. 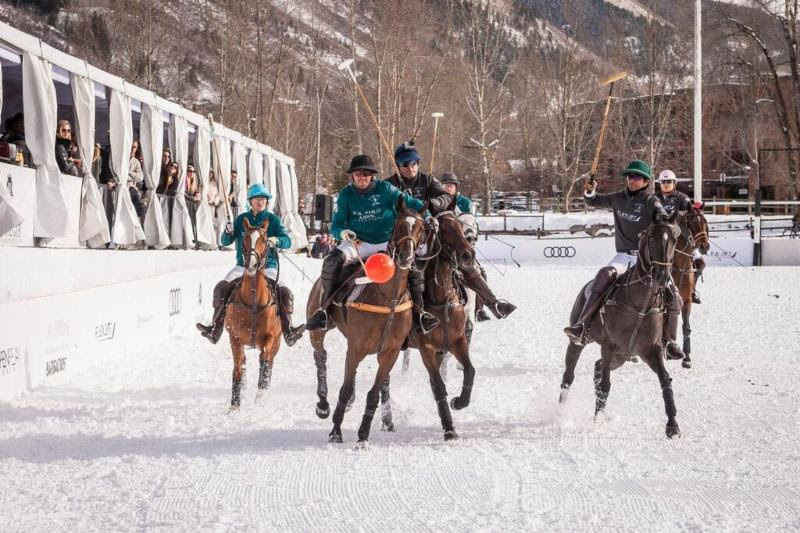 return as major team sponsors for North America’s only snow polo tournament. Audi: Grant Ganzi/Marc Ganzi, Juancito Bollini, Nic Roldan. Flexjet: Melissa Ganzi, Jason Crowder, Jesse Bray. St. Regis: Bernie Uechtritz, Carlitos Gracida, Nacho Figueras. U.S. Polo Assn. : Bash Kazi, Ricky Cooper, Tommy Biddle. Last year’s tournament winner was U.S. Polo Assn. with Grant Ganzi, Nic Roldan and Juancito Bollini. In front of an overflow crowd and soldout VIP tent, U.S. Polo Assn. defeated Flexjet, 10-5. Roldan was named MVP for the third straight year. In the consolation game, ChukkerTV defeated St. Regis. Bernie Uechtritz was named MVP. Opening round action is Saturday at Rio Grande Park near downtown Aspen. Rio Grande Park is Aspen’s largest multi-functional park within the city’s limits and just minutes away from the St. Regis Aspen Resort. The winners will advance to the championship game on Sunday. Both days broadcasts begin at 1 p.m. MST. and 3 p.m. EST. The draw, sponsored by St. Regis, will be held at the St. Regis Aspen Resort on Thursday night at 7 p.m. to determine team pairings and present team jerseys. For tickets and more information, go to www.worldsnowpolo.net.